If you are a business owner, you probably spend a lot of time worrying about your business. Not only do you have to worry about whether or not things are going well or if you are bringing in a profit, but you also have to worry about theft, robbery, vandalism and other crimes that could occur on your property. Fortunately, a good security camera system can help you keep your business safe, and other types of security-related equipment can be used as well. By utilizing all of the equipment that is available for you, you can keep your investment as safe as possible without even spending a fortune. Not only can this safe you money and help you protect your business, but it can also give you a valuable peace of mind. When you think about protecting your business from crime, you probably think about the inside of your building and all of the things that you keep in it. Although it is certainly important to take care of those things, protecting your parking lot and the exterior of your commercial building is a great first step to keeping your entire property as safe and secure as possible. 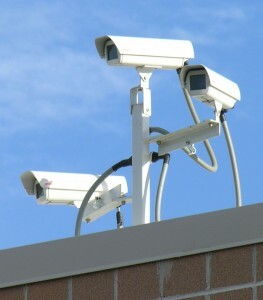 Therefore, you should consider installing cameras in your parking lot and around the exterior of your property first. By installing cameras up high by the entrances and exits to your building, you can help deter people who might otherwise think about attempting to break into your business. Although you might be surprised to learn this, security cameras often work as a wonderful deterrent and can prevent crime from occurring in the first place. If someone does decide to get brave and break into your business, the security cameras that you place near the entrances to your buildings can help ensure that you catch valuable surveillance footage of anyone who enters the building. This footage can be incredibly useful when you contact the local authorities. Next, you should make sure that there are plenty of cameras in your parking lot. 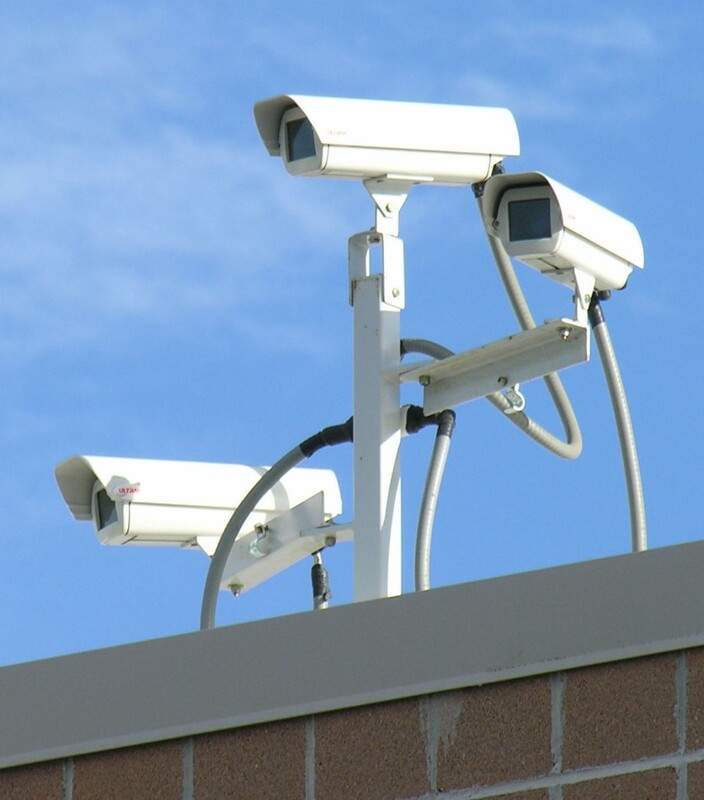 Along with preventing people from wanting to vandalize your building or commit other crimes against you and your business, these cameras can also help keep your employees and customers safe. Cameras can help prevent people from breaking into cars, attacking people in the parking lot and committing other crimes, and the surveillance footage will be there in the event that one of these crimes does occur. Your employees and customers alike will also surely feel more comfortable around your business if they know that these cameras are in place and that you put forth an effort to keep everyone safe. Along with installing surveillance cameras in your parking lot and around the exterior of your commercial property, you can also consider installing plenty of lights. Criminals typically don’t like to be easily spotted, and these lights can make a major difference in whether or not a criminal feels confident about pulling off his or her crime. Since you probably keep a pretty large portion of your daily earnings in your cash register or in the area near it, it is important for you to protect your money by properly monitoring and watching your cash registers. Fortunately, surveillance cameras can be very useful for this purpose. By installing surveillance cameras directly above your cash registers, you can get a clear view of anyone who goes near them. Although you might not think that surveillance cameras will be able to pick up a clear picture of your registers, you should realize that there are a lot of great cameras out there that take excellent-quality footage. If someone sees these cameras in place over your registers, he or she might be less likely to attempt to rob your employees or sneak a hand over your counter and into your register, and you will at least have the evidence that you need in the unfortunate event that this does happen. If you do not install surveillance cameras anywhere else in your business, installing them above your cash registers will probably be the one thing that you will want to do. Shoplifting is surprisingly prevalent in today’s world, and it can cost you a lot of money as a business owner. Therefore, it is worth the time, effort and money to put in equipment so that you can catch people who steal from you and your business. Installing security cameras around your business is a good way to cut down on and catch shoplifters. Don’t make the same mistake that many business owners do, however: It is important to ensure that you don’t leave a lot of blind spots in your store that can’t be seen on your surveillance cameras. A lot of people are smart enough to figure out where these spots are, and they use them as a means of stealing things without getting caught. Along with installing surveillance cameras as a means of cutting down on shoplifting, you should consider training your employees to look out for suspicious signs, and you should also encourage your employees to help your customers; doing so can help make shoppers feel uncomfortable with the idea of stealing, which can cut down on the amount of shoplifting that occurs within your business. Employee theft is actually one of the main ways that many business owners lose money. Although you might be attached to your employees and have a good impression of them, you might be surprised and a bit heartbroken to realize that a lot of seemingly good employees have thought of rather clever ways to steal from their employers. Since this could add up to a lot of lost profits for you, it is important for you to know how to watch for employee theft. Having cameras over your cash registers is a great start, but it might not be enough. For instance, your employees might undercharge friends or otherwise do dishonest things when they are on your cash registers, but there is cash register software out there that can work with your security cameras. This software will show what is being rung up on your register at the same time as your surveillance footage, which will help you ensure that your employees are ringing people up as they should be. Next, you should monitor all areas where your employees might go. For instance, you should consider installing surveillance cameras in your office, especially if you keep money, valuable items or important information in there. Keeping a close eye on your stock room is also important, but a good surveillance camera system can help you ensure that nothing is being taken out of your stock room that shouldn’t be. Along with using security cameras to watch out for employee theft, you should also consider utilizing other methods. Carefully going over each employee’s receipts and cash register information is important, and keeping a close eye on your inventory is also essential to help cut down on items being stolen by your employees. You should also make it clear to your employees that you will not tolerate stealing of any kind, and you should make sure to handle any events of theft properly if they do happen. Although it might not seem like fun to crack down on your employees, doing so can help ensure that you aren’t losing your profits to your staff members. Contact us today to speak with a security professional.